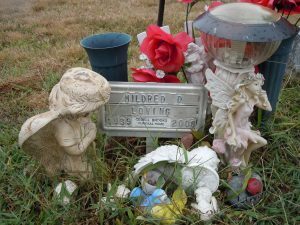 Loving vs. Virginia is an informational book or a “documentary novel.” The story is told in verse in the voices of Mildred Jeter (African American and Indian) and Richard Loving (white). 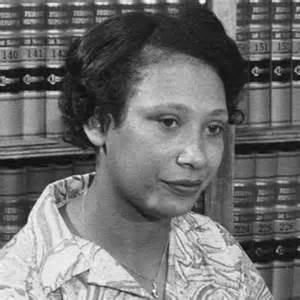 The couple grew up together, fell in love, married in Washington DC, came home to Virginia in 1958 and were arrested in bed. It’s hard to believe that less than 60 years ago interracial marriage was illegal in half of the United States. Research included my watching Nancy Biurski’s documentary, The Loving Story, repeatedly. I viewed news clips, studied Hope Ryden’s 1960s film footage of the Lovings, read newspaper and magazine articles contemporary to the times. I read extensively about the convoluted court case that led to the U.S. Supreme Court. I searched for photos and quotes. But, perhaps the most fun, was interviewing the “players” of my story. Plecker instated the “Racial Integrity Act,” as a health bulletin (!) declaring that interracial marriage was illegal. One of my favorite interviews was with Richard’s friend, Ray Green. 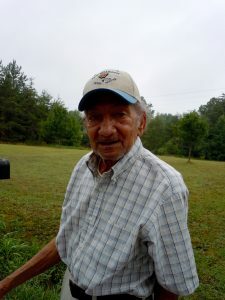 He and five buddies stood around a pick up truck outside a rural convenience store with my husband and me and chatted about their friends, the Lovings. They told stories, laughed, and gave details that would be the foundation of scenes in my book. Another great part of the research? Remembering how it felt to fall in love. I listened to music that I listened to in my 20s when I was falling in love regularly. My husband and I spoke about falling in love—reminding each other of our stories. My husband, being a white southern man, had special insight into Richard. Studying Richard in film clips and reading his words from previous interviews was essential in recreating his character. As many note, he looked like the quintessential red-neck—one who would be bigoted. Clearly he was not, and I got to establish that, showing his love and stubbornness. and altogether charming. The couple was clearly in love. They did not want to be the center of this important civil rights issue. They just wanted to live their quiet lives together—at home in Caroline County. Please ask me any questions. I’d be happy to answer them; or make a new blog post about what might be interesting to be known. 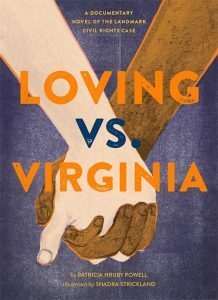 And please 1)leave a comment and 2)sign up for the posts if you want a free advance copy of Loving vs. Virginia. The second drawing will be just before Thanksgiving. The third, before Christmas. Research takes so very much dedication–time in libraries, on the road, interviews, note taking, examining and reexamining–while not knowing what the end results will yield. It is the love of writing, the purpose, the talent and skills and dedication which an artist must have to pursue any project. And baby, did you ever strike gold on Loving. Congratulations my dear Patricia. I am happy and proud to have been with you on the journey. 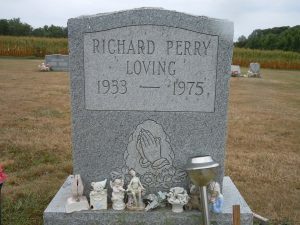 It would appear that Richard and Mildred were not buried next to each other. Or is that inaccurate? That’s good news. Thank you, Cheyonna. I didn’t see it. That photo was taken several years ago, when I was doing the research. Was her headstone there then? So incredible that a simple act of loving and wanting to marry ended up in the Supreme Court. Thank you for researching and writing this beautiful love story. I look forward to reading LOVING VS. VIRGINIA, Patricia.